First off, we'd like to announce the winner for this month's blog giveaway - congratulations to Kathryn M., you have won this month's prize! We will get in touch with you to coordinate the delivery of your prize. Thanks to everyone who entered this month's contest. Socktober may almost be over, but of course you can knit socks year-round. We've spotted some really interesting ways of constructing socks over on Ravelry, and wanted to share some of these exciting techniques with our blog readers this month. If you have tried any of them, we'd love to hear what you think of the results in the comments! While socks knit sideways have been around for quite some time, we are seeing some interesting new patterns which use this technique! Variegated and self-striping yarns look especially great with this approach. 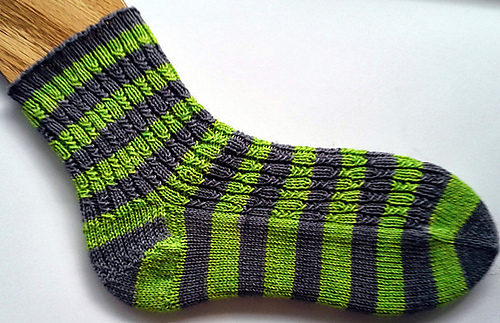 Here are some interesting patterns to try: Skew by Lana Holden, Verizontal by General Hogbuffer, Vanishing Point by Jeny Staiman, or the Alamogordo Socks by Lisa Jacobs (shown below). This intriguing pattern by Carissa Brown begins at the heel and is worked outward for there - another great option for hand-dyed and variegated yarns. 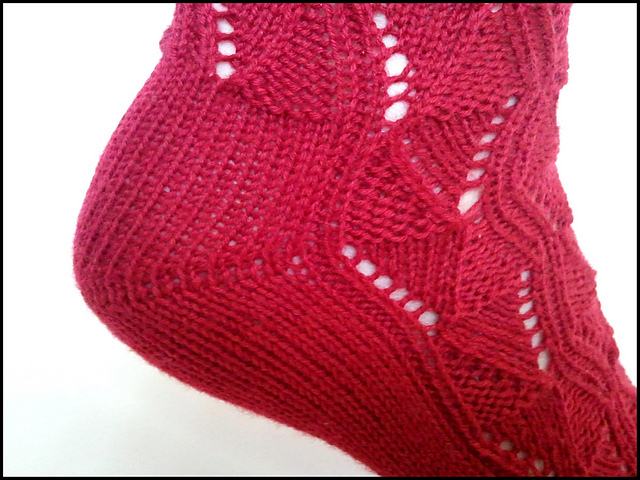 This popular method simplifies short row shaping and can used for both toe-up and top-down socks. 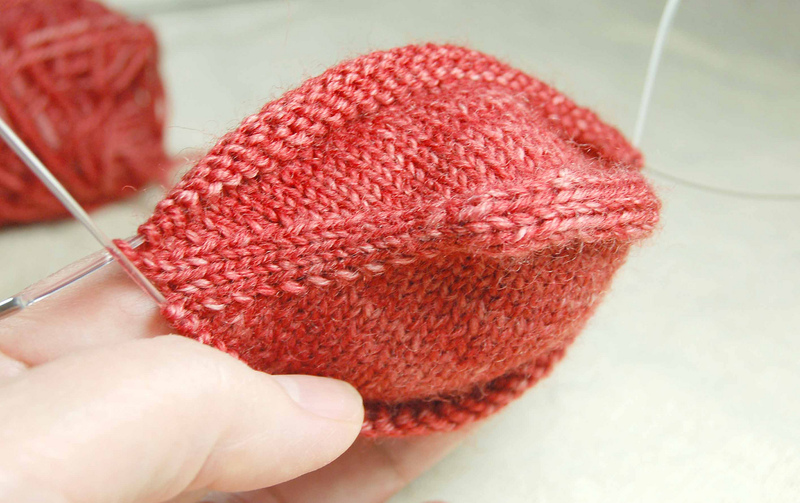 We've heard many knitters rave about how easy it is to memorize. This clever construction from podcaster Megan Williams includes instructions for using this heel in both toe-up and top-down socks. 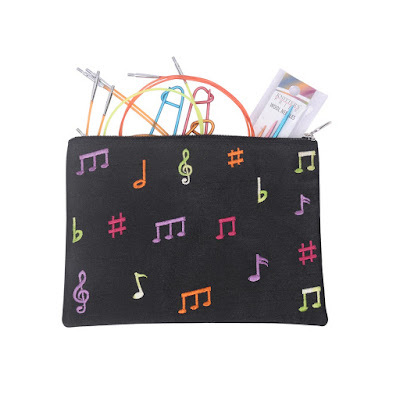 OMG stands for One-needle Mock Gusset for toe-up and One-needle Mini Guesset for top down! 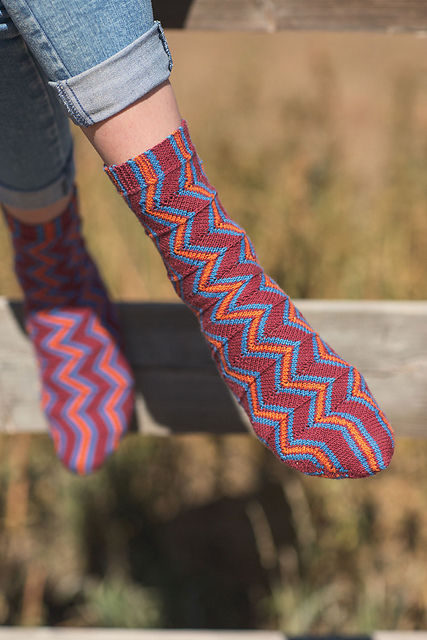 This paid-for pattern from Interweave combines a Pyramid heel construction in toe-up socks with a striking stranded colorwork design & includes a video tutorial with the pattern. This free tutorial by Mary Spanos uses a similar approach to the garter tab cast-on which is used for many shawl patterns. 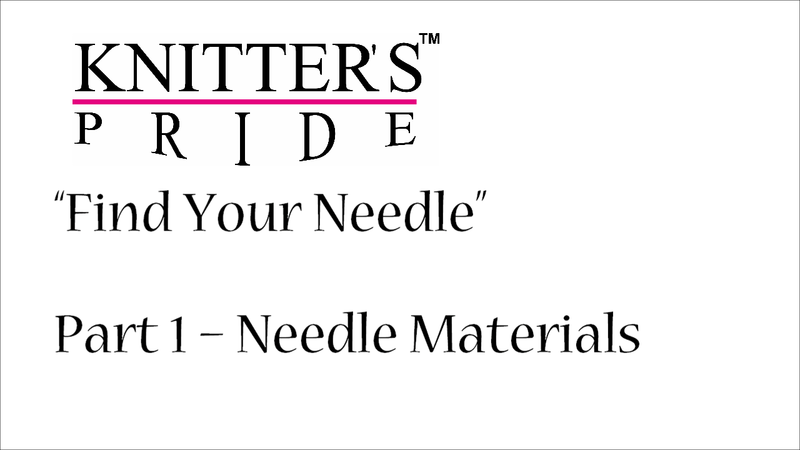 We're also pleased to give knitters one more option when choosing needles for their next sock project: in addition to DPNs and circular needles for magic looping, we now offer small circumference 9" needles in our Dreamz and Nova Platina lines! 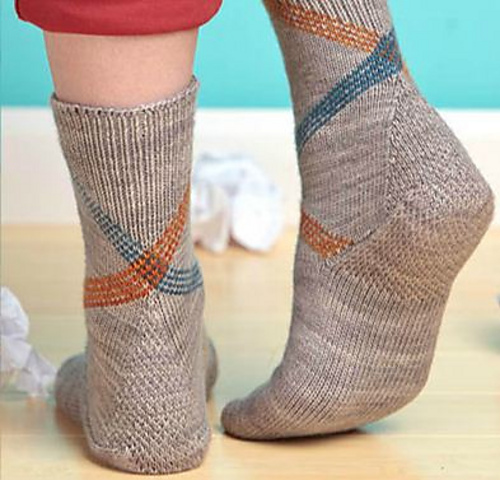 Is there a new sock knitting technique you use that isn't listed here? Let us know in the comments! We're pleased to introduce this year's limited edition gift set, which is arriving at a Knitter's Pride retailer near you this month! Melodies of Life celebrates the festive season with a theme that will be music to your ears! 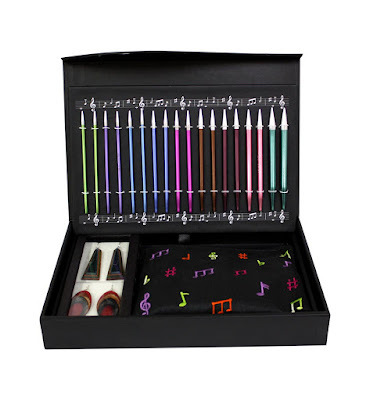 Nine pairs of vibrant color-coded Zing needles in US 4, 5, 6, 7, 8, 9, 10, 10.5, and 11 (3.5, 3.75, 4.0, 4.5, 5.0, 5.5, 6.0, 6.5 & 8.0mm) that carry laser-marked sizes. Four color coded cables: one 24"(60cm - green), two 32" (80cm - orange), and one 40" (100cm - red). An assortment of knitting accessories: set of cord connectors, wool needles, and stitch holders, all packed in a coordinated monogrammed fabric pouch. 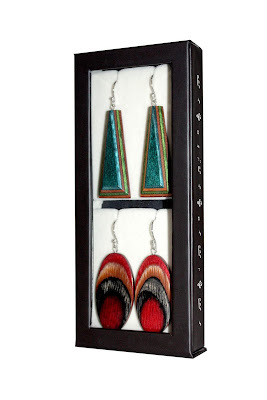 Two pair french wire earrings made from our famous colored wood (more on that below!). Everything is beautifully packaged in a box that is perfect for gifting. The Melodies of Life gift set is sure to top every knitter's wish list this holiday season! We're also offering our fans a sneak peek into a new endeavor we'll be launching in 2017: Knitter's Pride will be expanding into the field of fashion jewelry that is designed with the enchanting colors of our wood under a new brand name called TEEKRI. Each gift set contains two pairs of earrings that have been crafted at our factory and made from our famous colored wood! This special bonus is our way of saying "thank you" to our awesome band of knitters who have always supported and encouraged Knitter's Pride to continue developing our products. This month, we're offering our readers a chance to win one of our new hand-printed fabric bags, perfect for keeping your projects organized this fall! 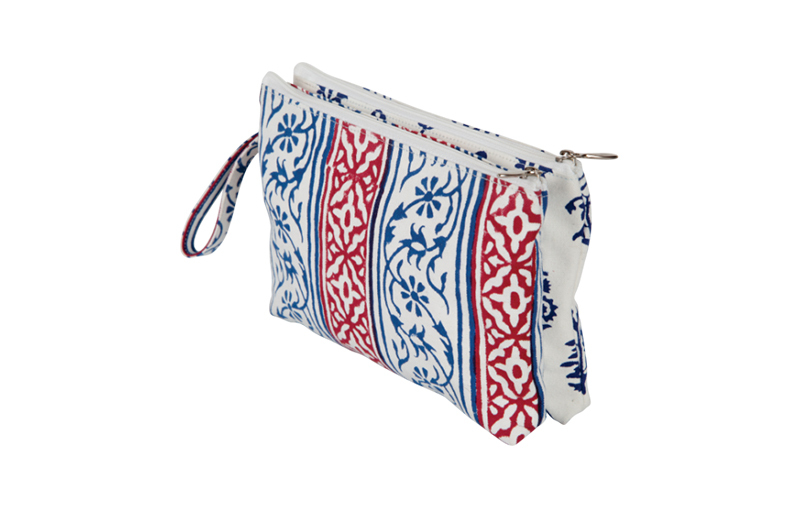 This Radiance full-fabric double-zipper bag features two separate compartments, keeping for everything organized while on-the-go. 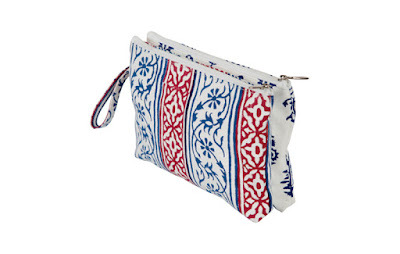 You can use it for accessories, crafting tools, small projects, or even for storing non-yarn items if you wish! To be entered in our giveaway, leave a comment on this post telling us which product from our new 2016 collection you would most want to try - click here to see them all! Don't forget to also tell us your ravelry ID or email address so that we can contact you if you win. We will randomly select a winner to announce on our next blog blog on Friday, October 28. Good luck!